Welcome to the Air Show Journal! Welcome, thanks for visiting! 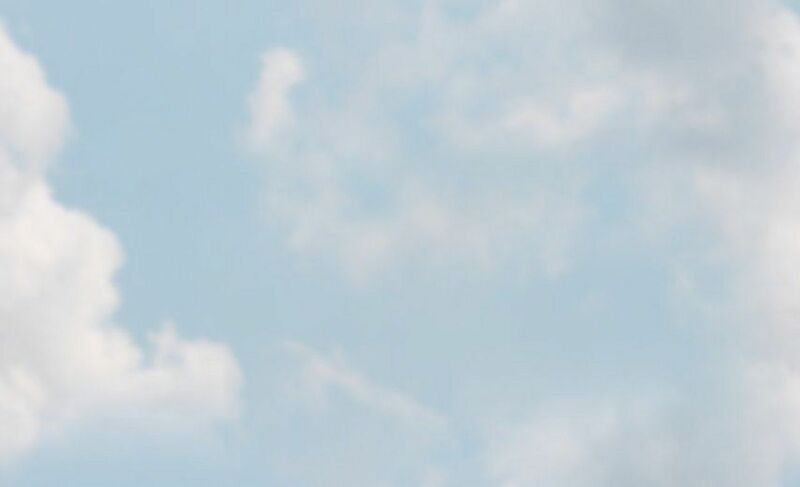 On this website you will find high quality photos of numerous air shows, with an emphasis on telling the stories of the shows through visuals. Please have a look around, and if you like what you see please tell a friend! Our most recent show report is of the STS-116 Shuttle launch on December 9th, 2006. For a complete listing of air shows, see the ICAS schedule, the Southern California Airshow Page or the global DeltaWeb Air Show Guide. Uou can use Google to search the website. Type in an aircraft (e.g. Raptor, Blue Angels, F16, etc.) and then click "Google Search". You may need to try names both with and without dashes (F-16 versus F16). Thumbnails of EVERY image on this website are available on the graphical index page. Explanation: A selection of the best photographs are available for purchase via the Printroom.com service. These are high quality, long lasting prints on real photographic paper, made using professional printing machines. The small-sized images shown on this website do not do justice to the original digital images, all of which were taken using state-of-the-art Canon professional digital SLR cameras and L-series (professional) lenses. Small details like N-numbers, serial numbers, and pilots' faces are the kinds of details visible in these prints. Proceeds are put towards the upkeep and expansion of this website. You can select prints, pick the size of print (from regular 4x6 to poster-sized 16x24 inches), pick a shipping method, plug in your payment info securely and have the prints in your hands within days. These prints carry a 100% satisfaction guarantee: you can return a print within 30 days for a full refund if unsatisfied. Note: sometimes an order is split and prints are shipped separately, so don't panic if something is missing when your order is delivered: wait a couple more days. For the quickest resolution of order problems or returns, please use the email/phone contact information given in your order confirmation email. One final note: these prints are for personal, non-commercial use only. Q: Why no updates recently? A: In 2007 I moved to Missouri and due to work and family commitments, plus fewer airshows in Missouri compared to California, it's rare that I can get out and shoot very often. Any of you with a young'un can surely relate. Plus, the bottom dropped out on the photo sales market so it no longer is the self supporting activity it once was. I have three or four airshows "in the can" that I hope to post when I get some time off. Q: Do you have a picture of ...? A: Try the search on this page, virtually every aircraft I have photos of is listed. If you don't see the plane listed, odds are that I don't have a picture. Q: Photo ... doesn't have a button. How can I purchase a print of it? A: Not all photos are available, because of technical quality issues, or due to legal rights issues. Q: Can I use one of your images in my magazine/website/blog/etc.? Q: I tried to print/save an image off your website, and it got chopped up. What gives? A: You got caught by the copyright protection system. Please read the legal terms, available at the bottom of every webpage! May I remind you that prints are available for purchase? Q: Is this what you do for a living? A: No, I only do air show photos part time, when my regular job allows. Q: Can you come to the ... air show in ...? A: Maybe, tell me about it. I can't attend everything because of fiscal and schedule realities, but I'm open to suggestions. A: I use Canon EOS digital SLR cameras and lenses. I have a 13 megapixel Canon 5D and an 8 megapixel Canon 1D Mark II, and I have also used the 6 megapixel 10D and D60. As for lenses, I use the Canon 17-40mm F/4L wide angle lens and the 100-400mm F4.5-5.6L IS telephoto zoom. Always handheld. Exposure times are ~1/160sec for props, ~1/60sec for helos, and ~1/1000sec for jets. It's difficult to get sharp images with props and helos so I take lots and lots of images and pick out the sharp ones. I exclusively use RAW mode for my images, anyone who shoots only to JPEG is wasting their time. Images are processed in Phase One's Capture One software. I shoot anywhere from 500 to 2,000 images per day at a show. Q: Tell me about this webserver. How many visitors do you get? A: This website is hosted on a Celeron 2.0GHz 256MB managed dedicated server, running Linux. All pages are plain static HTML, to keep the server load reasonable. The website as a whole gets up to 25,000 visitors (people) per day, generating over one million hits and 20GB of traffic on a peak day after a major show! PLEASE READ THE FAQ BEFORE EMAILING! Please allow a week or more for a response. 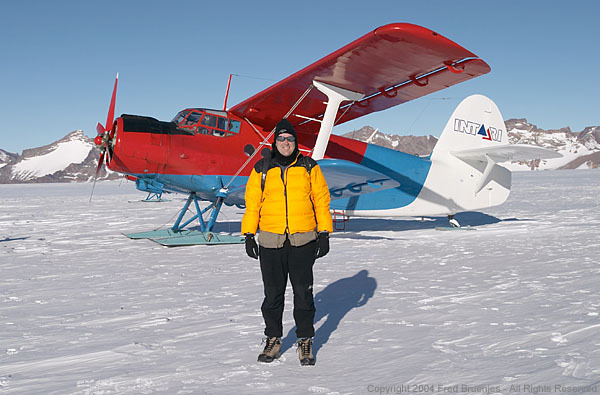 Your photographer and author, Fred Bruenjes, standing in front of an Antonov AN-2 in Queen Maud Land, Antarctica. Story here.